2. There's a 10% off discount code for EVERYONE using coupon code "THINKFASTPLEASE"
3. Kim is guest designing for us this week! Woohoo! 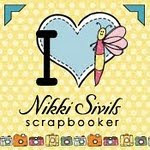 This week's sponsor is Nikki Sivils Scrapbooker. This company puts out tons of adorable papers, stickers, journalling tags, buttons, and more. 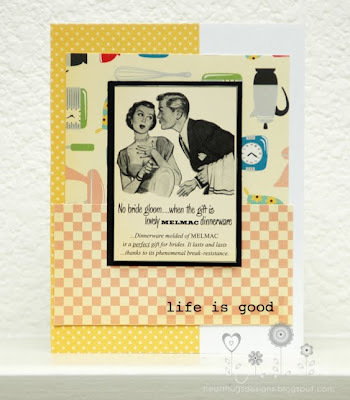 This week, Nikki Sivils is offering up a collection pack with papers and embellishments. Here's my card for this week inspired by the apron above. When I saw it, I immediately thought of this paper from October Afternoon called Modern Homemaker. I used this week's Get Sketchy sketch for this card. Love your inspirational piece and your card is so pretty. Great layout and love the colors. Great card Ashley! Love the colors & your layout!!!! Love what you did with this card! 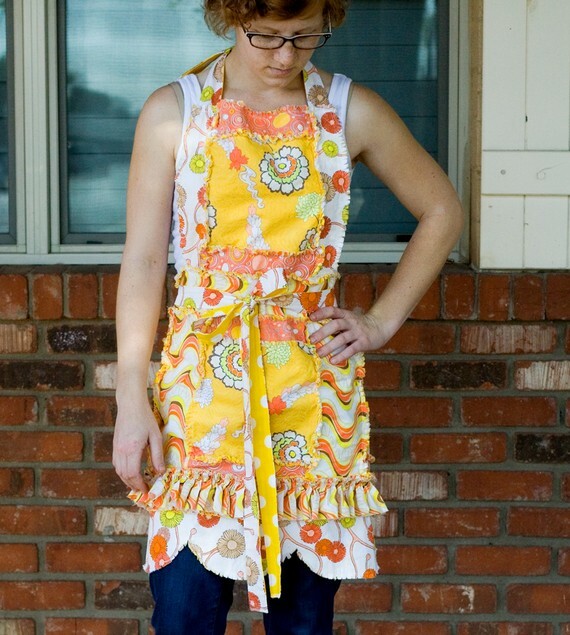 oh wow, that is a cute apron...your card is cute and trendy...luv it! I hope you have been well, I have been sooooo busy...good busy..I luv it that way!! I hope you have a fabulous Sunday girl...take care! YAY!!! We picked the SAME inspiration piece!!! I love love love that paper from OA!! I have it, and it's looks sooooo cute with the other vintage goodness!! LOVELY card and a super perfect take on the inspiration piece!!!!! I am lovin that vintage card! So perfect for that apron! Adorable! LOVE that apron--and your card is perfect! Love the vintage feel of the papers--MUST get me some of that! You rocked Kim's store!